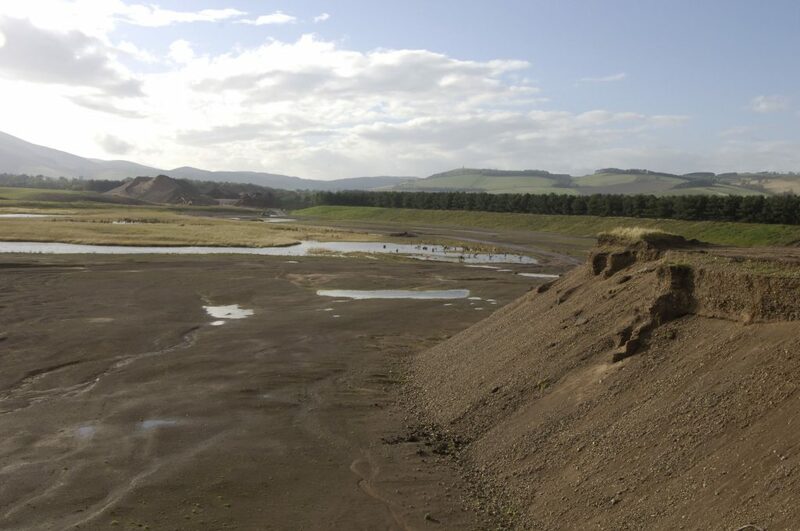 Tarmac commissioned a series of archaeological investigations at Cheviot Quarry in Northumberland. 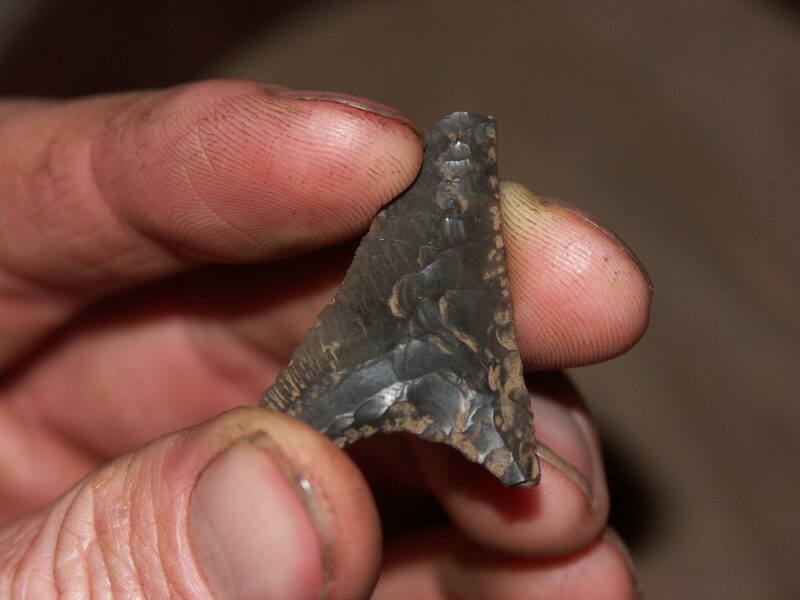 Spectacular discoveries were made which include three phases of settlement dating from the Neolithic, the Late Bronze Age and Dark Age periods. 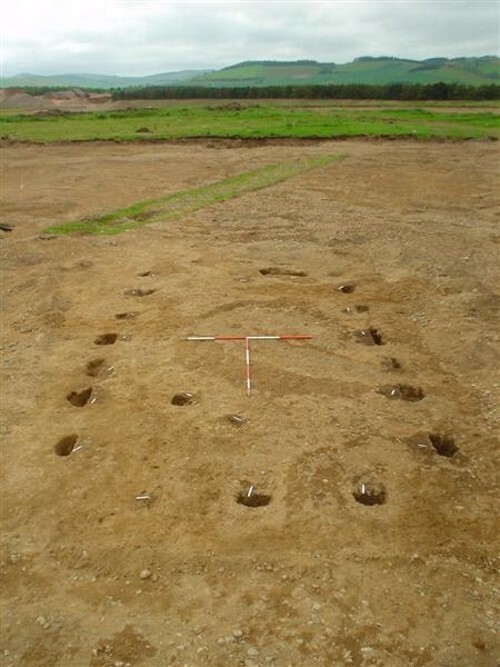 Neolithic hearths, storage pits and post holes were discovered across the site, and in two distinct clusters, containing large quantities of stone tools, pottery, charred wood and other plant remains. The pottery included large sherds from Early Neolithic Carinated Bowls as well as Later Neolithic Grooved Ware. The stone objects included a variety of flint blade tools such as knives and scrapers, together with a roughout of a carved stone ball, a whetstone and a hammerstone for flintknapping. The two circular houses encountered were dated to the Late Bronze Age (c.1000-870 BC). These were post-built houses which all had an entrance way facing south east towards the rising sun and were associated with a large amount of ‘Flat Rimmed Ware’, a type of pottery dating from this period. The occurrence of identifiable Later Bronze Age houses in the valley bottom is of importance as there is a paucity of evidence of what happens in settlement in the Late Bronze Age following an abandonment of the uplands in the 12th century BC. 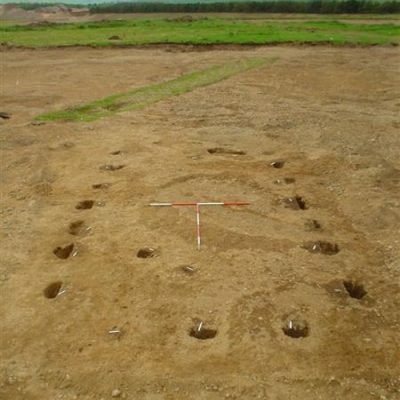 The three rectangular houses were dated to the ‘Dark Age’ or British period and are very likely to pre-date the documented Anglo Saxon conquest of the area in the years around AD 547. 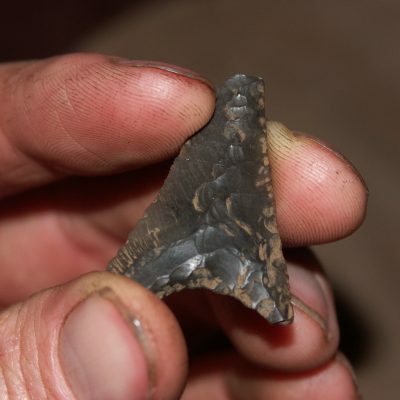 This is again an important discovery as there is very little archaeological or documentary evidence for what this area was like during the time between the Roman and Anglo Saxon periods. 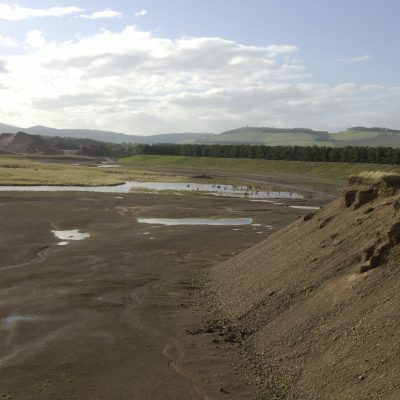 The Cheviot Quarry Project features as a major output of the ALSF reported in ‘Extract’, the annual report of the ALSF. To read an online copy of the 2005-2006 ‘Extract’ click on this link. The project has also featured in leading archaeology magazine ‘Current Archaeology’. For details on how to order a back copy of ‘Current Archaeology’ click here. An offprint of the Cheviot Quarry and Thirlings reports is now available to buy. This volume decribes the results of these important excavations, both of which have made major contributions to our understanding of the Neolithic and Anglo-Saxon periods in the north-east of England. At the Maelmin Heritage Trail you can visit a full-size reconstruction of an Anglo-Saxon timber-built building that was excavated at Cheviot Quarry, similar to the one shown opposite. The Maelmin site is located 5 miles north of Wooler on the southern edge of Milfield village and is signed from the A697. Further details and site leaflets can be obtained from the information point in the village cafe. Entrance is FREE and access is available during daylight hours. Johnson, B. and Waddington, C (2008) Prehistoric and Dark Age Settlement Remains from Cheviot Quarry, Milfield Basin, Northumberland. The Archaeological Journal 165:107-264. Passmore, D. G., Waddington, C. and Houghton, S. (2002) Geoarchaeology of the Milfield Basin, northern England; towards an integrated archaeological prospection, research and management framework. Archaeological Prospection 9: 71-91. Waddington, C. (1999) A Landscape Archaeological Study of the Mesolithic-Neolithic in the Milfield Basin, Northumberland. Oxford, British Archaeological Reports, British Series 291. Please note that by contacting us you agree to us collecting and processing your contact details in accordance with the GDPR. Details of what we collect and why are contained within our Privacy Notice. If you consent to this, please continue to contact us by clicking on this link. Please note that by making a careers enquiry you are agreeing to us collecting and processing your contact details in accordance with the GDPR. Details of what we collect and why are contained within our Privacy Notice. 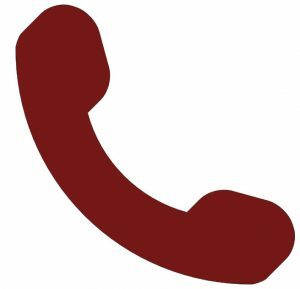 Please note that by making a quotation enquiry you agree to us collecting and processing your contact details in accordance with the GDPR. Details of what we collect and why are contained within our Privacy Notice. Please note that by making an enquiry you agree to us collecting and processing your contact details in accordance with the GDPR. Details of what we collect and why are contained within our Privacy Notice.